Timor-Leste only regained its freedom in 2002 after a long and brutal occupation. As a newly independent country there is a lot for the Government to do in terms of nation building and meeting the day to day needs of the Timorese people. Many organisations, both larger and more grass roots, welcome the assistance of volunteers in a wide range of roles and sectors including healthcare, handicrafts, farming and education. 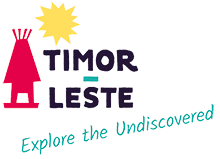 If you would like a more in depth experience of Timor-Leste and its people start making enquiries. Contact your country’s respective embassy in Timor-Leste or search online.